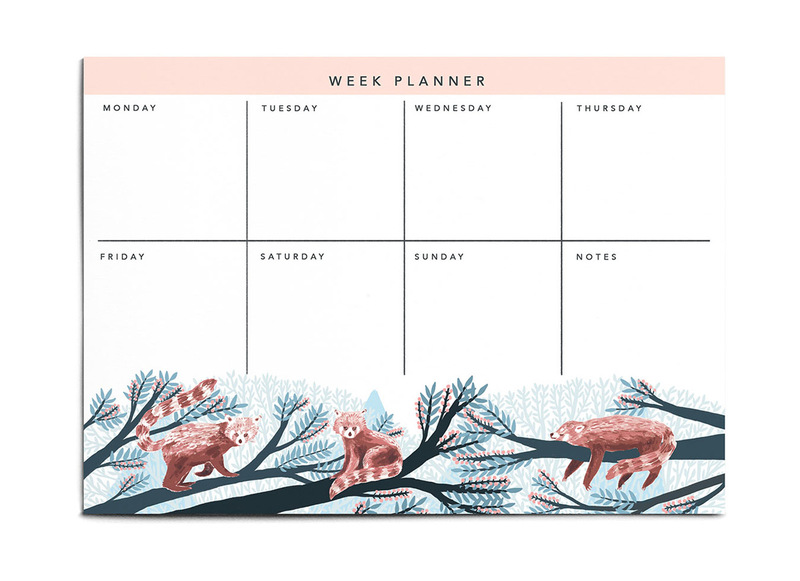 A beautiful illustrated week planner. Great for accessorising your desk at work, or keeping organised at home. This pad can be used as a stand in diary, or as a meal planner with a handy notes section for a shopping list. Material: Printed on recycled paper. Pages can be ripped off to reveal an identical page design. The notepad has a hardboard base to keep it sturdy.